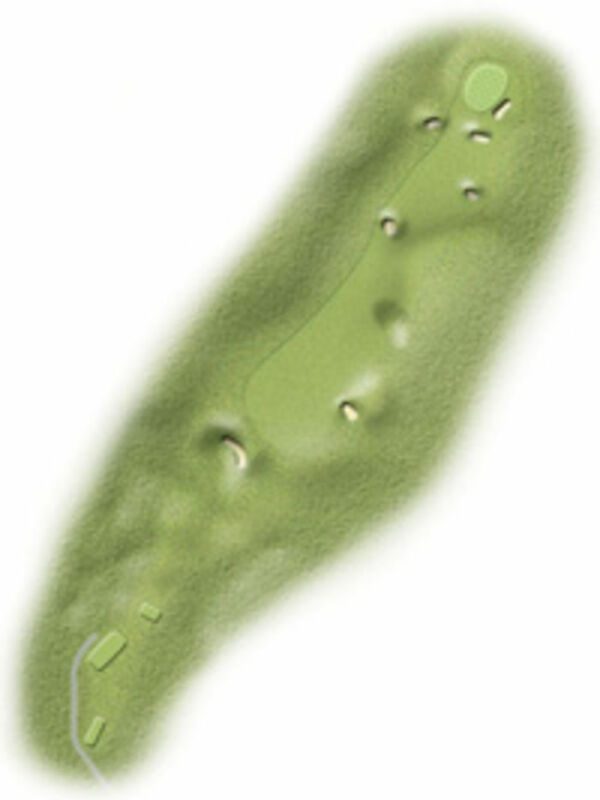 The 430 yard par 4 12th hole has a blind drive to a generous fairway. A satisfying long second into the prevailing wind has to be complemented by very good putting on the trickiest green on the course. Keep the drive left to open up the green. Once on the green work hard on the lines.